Singapore is going to fascinate you with its sites to see. Here the top three of them. Bras Basah Street in Singapore offers the visitors a Singapore 101 since it is located in the downtown and consisted of some of the most important historical and modern buildings can be seen in the city. An enjoyable walk down the street serves as an opportunity to see some of the historical landmarks of Singapore. Civilian War Memorial and Cathedral of the Good Shepherd as well with the Fairmont Singapore. If you are a museum enthusiast, Bras Basah is going to take of you well. Singapore Art Museum located on Bras Basah, is one of the first modern art museums in Southeast Asia. With its permanent and touring collections, Singapore Art Museum is going to feed your artsy side during your trip in Singapore. Orchard Road is a must see place when in Singapore. Not only because it is actually the most famous place of the city, but also because it reflects the Singaporean way of life and perception to a major extend. Usually referred as the “Heart of Shopping” by most of the visitors, Orchard Road is the Times Square of Singapore. 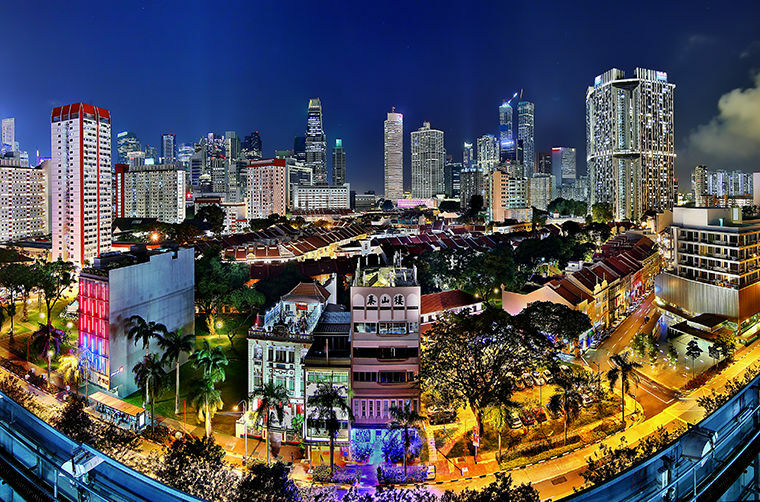 It is correct that the boulevard is filled to the brim with shopping malls, stores and hotels however some of the most iconic buildings that makes Singapore what it is today are also located there. If you are going to visit the Orchard Road to make some shopping, you are recommended to choose the mall you’d like to visit in advance since there are a large number of them and most of them fulfill the shopping need of a traveler. The street is also the home to a couple of famous restaurants that serve most exquisite examples of Singaporean cuisine; get ready to feast yourself with some delicious bites. To reach Orchard Road, you can use SBS Transit or SMRT buses. Mass Rapid Transit stations at Orchard, Somerset and Dhoby Ghaut are also within walking distance to the street. If you would like to create a short break from the city and indulge yourself with the natural beauty of Singapore, you should definitely head to Sentosa Island. Sentosa is popular among both the foreigners and the locals since it is highly accessible from Singapore city center has got a unique beach that lies 2 km. You will not be surprised the island’s name means “tranquility” in Malay once you arrive in this beautiful island. Sentosa has got many upscale resorts to choose from and the visitors may choose from a wide variety of attractions. In addition, you can also visit the surrounding islets; Kusu Island, St. John's Island, Sisters Islands and Pulau Hantu. However, keep in mind that these 4 are not as improved as Sentosa central but will fascinate you with their natural aura. The most recommended way of transportation to the island is taking take the North-East Line of the MRT to HarbourFront and going to the third level of Vivocity, where you are going to see the Sentosa Express.